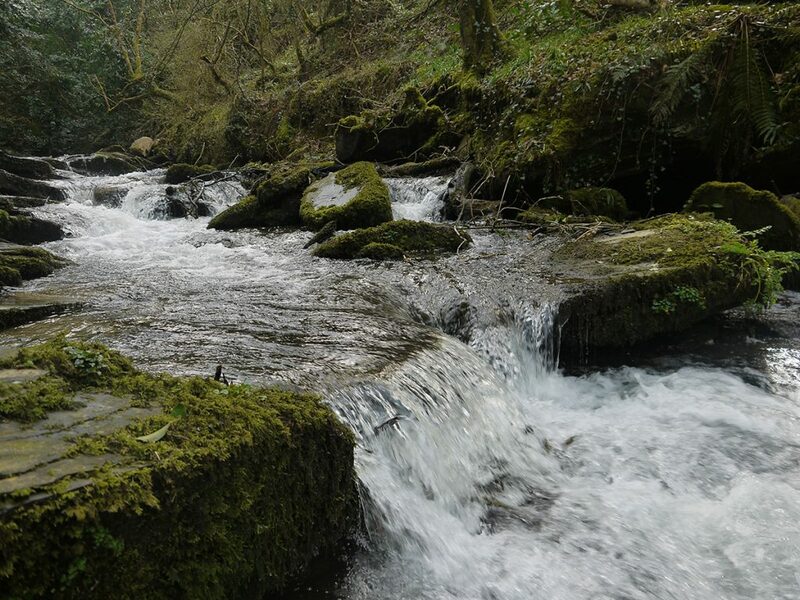 I took my mum, two sisters and 3-year-old nephew to St Nectan’s Glen on the recommendation of the team. 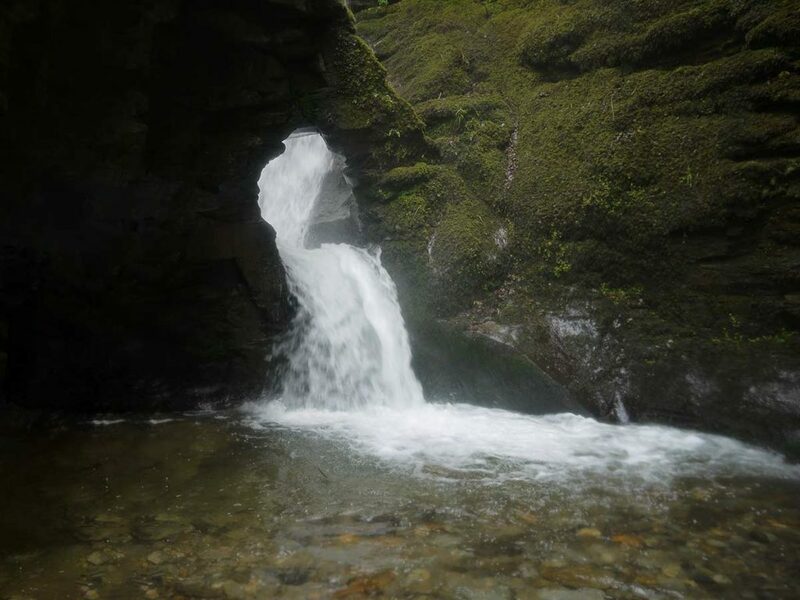 Although having lived in Cornwall for 18 years I only heard about St Nectan’s Glen since working at Cornish Traditional Cottages as waterfalls are not usually something that I take an interest in. My expectations weren’t much before going. I was only really expecting a small walk down to see a waterfall. While the waterfall itself is the main attraction and was the best bit about the visit, I was pleasantly surprised by the walk itself down to the waterfall. Plus there’s actually more than one waterfall. Naturally, there’s a bit more going on after a recent rainfall. If you must wish for rain on your Cornish holiday, it would be so you can experience the full spectacle of St Nectan’s Glen! There are a choice of routes to and from the waterfall, which helped us as my nephew struggled to climb back up our original choice. Be prepared to carry the smallest in your group on your shoulders! This is a fabulous spot if you’re a keen photographer. Playing around with lenses and your focus could easily fill out your time here. Other than that, there’s not much going on, so don’t expect to fill more than an hour or two. Amidst this quite stunning scenery, there is also a café and a shop to provide a warming cuppa or some respite from any rain showers! And these were being redecorated at the time of our visit in spring, so will be lovely and refreshed for 2018 visitors. Going out of season we were lucky to get so close to the waterfall, although I can imagine it being busier in the summer peak time as well as more expensive. The joy of an outdoor attraction that’s largely based around a natural phenomenon is that it will change with the seasons, so you could return multiple times a year and see it in a whole different light. They lend you wellies before walking down to the waterfall, which is essential if you wish to go down and see the waterfall up close. We thought this was a great idea on their part, although you could take your own if you didn’t mind carrying them with you on warmer days. Pack an extra pair of socks. Fortunately, I had, so when I rather foolishly managed to get water piling into my welly I didn’t have to sit in the car on the way back with a soaking wet foot! The parking there is limited so don’t get caught out if it is busy and get left with no parking space. Take a picnic to sit and eat on the outside bench although I wouldn’t want to pack more than would fit in a backpack as once again you do need to carry it there and back. Be prepared for a slightly uneven and undulating walk, or at least bear that in mind if visiting with under 5s. 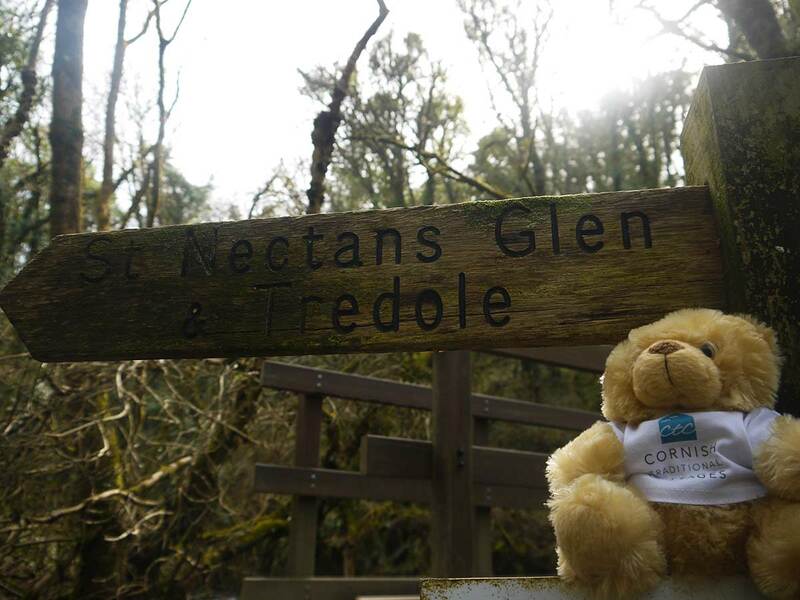 About the author: Rob is customer service administrator and visited St Nectan’s Glen in March 2018. For his next day trip he is going to Bude to walk along the canal.